Taxing Uncle Phil to Death? 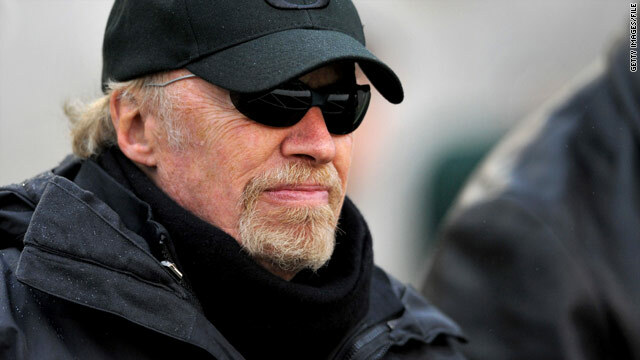 Upon announcement of his induction into the University of Oregon Athletics Hall of Fame Saturday night, the sellout crowd at Autzen Stadium gave Nike founder and über-UO donor Phil Knight a standing ovation. The 99 percent were cheering, rather than jeering, a member of the despised 1 percent. Class warfare and jealously were shelved for at least for a nanosecond or two. The reason for the outpouring of appreciation was obvious: Never in recorded history have so many UO students, athletes and alums owed so much to one solitary man. He has given more than $300 million (and counting) to the school’s Athletic Department, including $100 million to the UO Athletics Legacy Fund. Academically, he contributed the lion’s share to the $27 million renovation to the UO Knight Library. The name of his late father and 1932 UO Law grad, William W. Knight, adorns the 68,000-square foot University of Oregon law school. Knight’s generosity is not limited to the University of Oregon as he gave $105 million to the Stanford Graduate School of Business, where he received his MBA. He has also directed $100 million to Oregon Health Sciences University (OHSU) for the Knight Cancer Institute, and most recently $125 million more to establish the OHSU Cardiovascular Institute. In a society where we make so much of those who are “giving back,” why are we so insistent on “taxing the rich” (e.g., Phil Knight) to further grow the size, scope and gravitational pull of the federal government? Is it fair to impose punitive taxation on successful entrepreneurs in which nothing is given, who have a great idea, and have the temerity to “Just Do It?” If one subscribes to the notion that the best anti-poverty program on the planet is a job, then $24 billion Nike is responsible for “stimulating” 44,000 direct jobs and oodles of indirect jobs. Investors have poured $43 billion into Nike’s market value, and the company has nearly $4 billion of cash on hand for future job-creating investments. Back to our basic public policy question: Is it a swell idea to punitively raise the tax rate of successful entrepreneurs to make the government grander while retarding their investment and philanthropy endeavors? And will these additional revenues be used for deficit reduction or for more spending and borrowing (e.g. Solyndra II)? If we agree to hike the highest federal income rate from 36 percent-to-39 percent, coupled with increasing the capital gains rate from 15 percent-to-30 percent, will these increases be sufficient to pacify the insatiable class warriors? Some will scoff at 98 percent taxation, but it happened in the industrialized country that shares a special class-warfare kinship with the United States. What is mind-boggling is the notion of one can earn $1 million and then only taking home about $70,000? Think of it this way, one could toil from January 1 to December 15 to pay the government, before starting to work for herself or himself. Call me silly or naïve, but I humbly contend that we should be incentivizing entrepreneurs, such as Uncle Phil, to invest and donate and along the way create jobs. The static-scoring Keynesiologists will want me to stuff my dynamic-scoring “Laffer Curve” cocktail napkin where the sun doesn’t shine. They will demand that I and other like-minded individuals to simply accept the “inevitability” of “community” tax increases that foster more “investing” (e.g., code for spending and borrowing). Wonder how many of those who were standing and applauding “Uncle Phil” for his contributions to his favorite university are deep down inside hoping our government gives it to him, and gives it to him good? I’m afraid that more than half of the stadium supports this exact policy.